"This our brewers' show-beer, the pinnacle of the brewer's art," says Josh Nesfield, Budvar's UK marketing manager, handing me a glass of it. "It's a celebration of our beer – we'd use fresh hops all year if we could, but we can't." Surprisingly, given his enthusiasm – here's a man who clearly enjoys his work – this is only the sixth year of this beer's production, and that's not long when your brewery has 123 years of history. 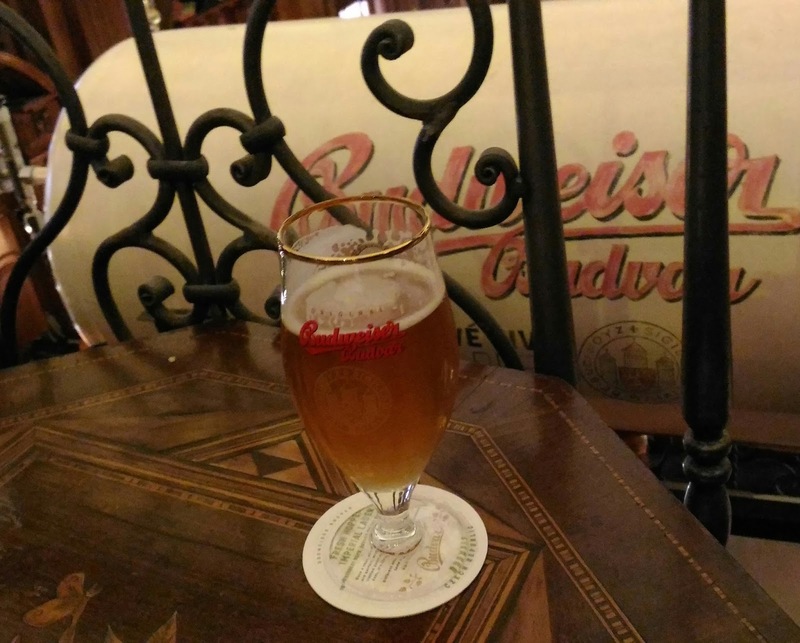 The temptation to chase fashions must be strong, and Budvar also released an unfiltered lager about four years ago, which was just after the fashion for unfiltered and cloudy Kellerbiers kicked off across Germany and it neighbours. Still, unfiltered Kellerbiers were far from new, even then – they're Central European staples, it's just that they were eclipsed in the public mind by golden Pilsners and Helles beers. So it's not exactly a sign of Budvar's brewers aren't going full-on Craft. "We will never chase a trend – we will never do a grapefruit lager," Josh laughs. And indeed, while Budvar's Fresh Hopped Imperial Lager has a definite modern twist, it still places well within the traditions of Czech brewing, which of course have considerable overlap with their German and Austrian neighbours. You could see it perhaps as a Bohemian take on Maibock – rich and bready-malty, with soft and corny diacetyl notes that might be faults elsewhere but are entirely appropriate here, plus fresh and sharp bitterness and bright nose-pleasing hoppy aromas. Whatever you call it and however you analyse it, it's a lovely beer, and perhaps one that's almost enhanced by only being available once a year. The Budvar brewery is currently somewhat space-constrained, but Josh says that is changing – they are expanding the brewery which should give them the opportunity to "collaborate with other brewers who share our values." He wouldn't name names, but said he's already in touch with several British brewers. And given that Budvar already has a UK distribution channel, he's looking at bringing in beers from small Czech breweries too. It's interesting times indeed for Czech beer. The Fresh Hop Imperial Lager was a dangerous drink Bryan, given it didn't drink like a 7.5% strength. I imagine the lengthy 200 day maturation time smoothed out any rough elements and allowed the flavours of the malt and the fresh hops to shine through. It shows that strong beers don't have to taste syrupy and mainly of alcohol; it's a just a shame that Budvar didn't brew enough of the beer to bottle some. ps. Was good to catch up with you. Likewise! They do bottle the normal 7.5% Budvar, as Bud B:Strong, I've not tried it yet so don't know what it's like without the fresh hops.